Why Choose Optimum7 as Your BigCommerce Experts? Optimum7 and our in-house team of developers and designers have been providing eCommerce development services for over 12 years. At Optimum7, we have a specialized team of BigCommerce developers to create any custom features you may want and to bring your company’s vision to life while increasing visibility and revenue. Optimum7 has been recognized as a distinguished agency certified by BigCommerce for their technical knowledge and excellent track record. We’ve built literally hundreds of custom functionalities for BigCommerce stores that improve conversions, user experience, and streamline backend functions. With over 15 years of experience building websites for our BigCommerce clients we have built web pages from ground up equipped for all types of industries. On average our clients experience an increase of 50% in website traffic. Optimum7 has worked with a small businesses to Fortune 100 companies to increase conversions, traffic, and navigability for their BigCommerce Stores. 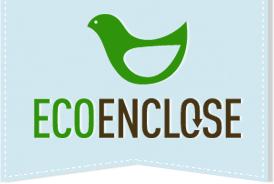 EcoEnclose provides its customers with Earth-friendly and highly-customizable boxes and packaging solutions for all uses. EcoEnclose needed a way to offer their clients multiple customization options, including logo branding, along with a pricing model to match. Optimum7 created a dynamic, 5-step customization process for customers to create their own personalized, branded packaging all on one product page. I approached Optimum7 with a mammoth wishlist of features we hoped to integrate into our site. Our goals in sum: To create accurately priced and more user-friendly ordering and to automate art proofing of custom products. I fully anticipated dismissal of our lofty objectives. Shockingly, I received an immediate (and enthusiastic!) reply. They persevered and delivered on nearly everything we had only dreamed would be possible. ASMC Industrial provides wholesalers with premium selections of industrial bolts and nut fasteners. Their niche clientele had to go through the painstaking process of clicking through hundreds of product pages in order to find the right nut or bolt for their specific needs. With careful planning and strategy, Optimum7 created the advanced search and filter functionality for every product category. This functionality makes it easier for customers to search for the specific products they are interested in. Optimum 7 create a faceted search to my specs. This replaced a hosted search from Searchspring, which was costing us $500 per month. Even though it wasn’t cheap, we will get ROI relatively quickly not having to pay that enormous rent. Superior Lighting is a wholesale and retail supplier of discount light bulbs. With over 12,000 similar yet highly specific products, this client needed a custom functionality to group multiple products together to make the navigation easier for their clients. The team of highly skilled developers at Optimum7 was able to display multiple Superior Lighting products on the same landing page. This allowed the client to find similar products with variations without having to leave the original product page, improving user-experience and conversions across the board. Need a custom feature for your BigCommerce Store? Is your conversion rate not where you’d like it to be? Our team of BigCommerce experts can diagnose where your users are leaving your site and optimize those pages to make the most out of your web traffic. As a BigCommerce SEO services partner, we have to the tools and resources to get your website on the top of SERPs. We will analyze your links, content, structure, and more to make sure your website is performing well. Your website design on BigCommerce should be attractive and on brand to create a pleasant shopping experience for your customers. With BigCommerce theme customization you can set your e-commerce store apart from your competitors. Have the upper hand with a mobile- friendly site customized to promotes product sales. Enhance your internet storefront and customize features you probably didn’t know could be done! Need help integrating a 3rd party payment gateway or app? Let the professionals at Optimum7 make the process go smoothly and on-time. Through the BigCommerce payment gateway integrations, the team at Optimum7 can link various payment gateways to your site and make you customers shopping experience enjoyable. Want to migrate your store to BigCommerce? 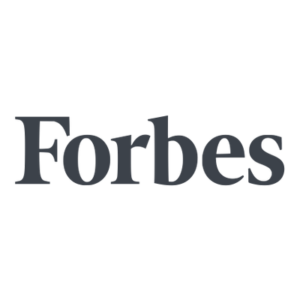 We’ve helped hundreds of companies migrate e-commerce stores smoothly in order to prevent authority drops and 404 error pages. Migrate your e-commerce site with us and we will make sure to optimized your site for SEO and increased visibility. BigCommerce is one of the leading turnkey e-commerce site platforms known for being feature-rich, scalable, affordable, and easily customizable. Although it is a relatively newer platform, BigCommerce is quickly becoming one of the top software eCommerce softwares for growing brands. Unlike other Ecommerce platforms which rely on third-party applications, BigCommerce has a large selection of built-in features, up-sell functionalities, and other options that improve customer experience and conversion rate. Why download dozens of plug-ins costing thousands of dollars with other platforms when BigCommerce offers hundreds of out-of-the-box functionalities that fit seamlessly with your store? 40 integrated payment gateways, such as Paypal, Square, Avalara (for sales taxes) etc. Is BigCommerce Easy for Beginners to Use? While there are some features already integrated into BigCommerce, most novices at e-commerce website development agencies find themselves having to reach out to developers with experience in BigCommerce after scouring for weeks through IT forums. Certified BigCommerce web design partners are your best bet if you are trying to get your site live as soon as possible with minimal issues occurring. BigCommerce partners have gone through the certification process. They will know how to customize designs, optimize content, and structure your products according to your customers shopping journey. But that is also the case with most e-commerce platforms and integrations. In the end, you may have wished you hired out a company with professional BigCommerce web developers to set it up for you. Companies that design shops on BigCommerce usually have years of experience and have worked with clients in all types of industry, they will know what type of BigCommerce store design you will need and what custom functionalities you may want to consider adding to your e-commerce store. How do I know if BigCommerce is for me? BigCommerce is currently one of the most widely used e-commerce platforms because it makes it easy for businesses looking to expand to incorporate functionalities needed for increases traffic, revenue, and conversions. Make a checklist of the things you’d like your website to do. … and any other factors your business believes is valuable to have. Hire BigCommerce developers to help you asses your current site health and create a fully functional plan for your new BigCommerce website. Are BigCommerce Template Designs Easy to Work With? Your website’s design will always be the first judgement clients will have on your company. You want to provide potential customers will all the tools necessary for an enjoyable experience. Fortunately, BigCommerce has over 100 design templates you can choose from with numerous functionalities specially made to increase traffic and conversions. BigCommerce makes designing the perfect website for your company easy. They have separated themes by industry, design structure, and functionalities to aid you in finding the right web design for your business. All BigCommerce themes are mobile responsive, which means you do not have to worry about losing potential customers due to mobile users. Over 54% of shoppers do their shopping using mobile devices, with BigCommerce you have have custom programming for mobile to convert these users to clients. BigCommerce plans can be seen to go on the higher end side of e-commerce platforms, but BigCommerce does come with build-in features you would be paying third- party apps to use. Your ultimate goal is to make shopping easy for your customers by having product filters, unlimited product selections, and more. If you are looking to grow your business fast, BigCommerce is the e-commerce platform for you. Rather than paying for a cheaper option where you are likely to hit the ceiling of functionalities you can add to improve customer experience on your site, BigCommerce already has most of these functionalities already built-in to the platform. Want to Start a BigCommerce Project?